TUSUR University participated in the 6th Asian Joint Workshop on Information Technologies (RU-DUT WS), represented by the Head of Division of International Cooperation Gennady Kobzev who presented his paper “Analysis of the global stability and non-linear dynamics of electronic systems with pulse-width modulation”. The visit was supported by Ritsumeikan University, one of the first partners of TUSUR in Japan. 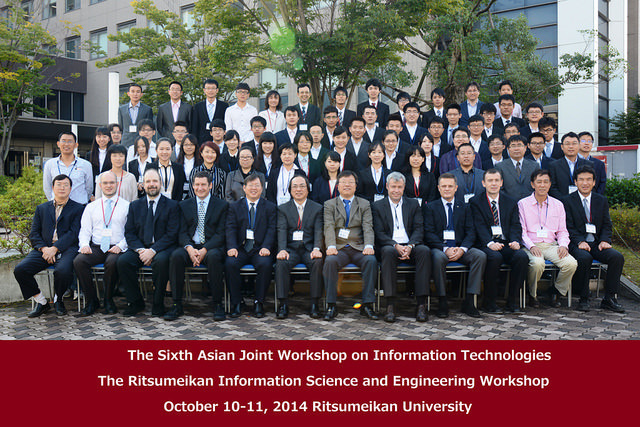 The Workshop is an annual event of Ritsumeikan University which brings together the most prominent members of academia from Japan, China, Thailand and other countries of Asia. 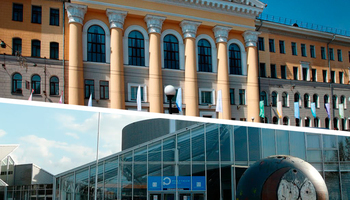 This year it was scheduled to coincide with celebration of the 20th anniversary of the University campus and the 10th anniversary of the RU College of Information Science and Engineering. Head of the Division of International Cooperation Gennady Kobzev also met with the Consul General of Russia in Osaka N. M. Latypov who expressed his interest in meeting the key project members and learning more about the partnership of TUSUR and Ritsumeikan University. As part of his visit to Ritsumeikan University, the Consul General has given a lecture for students and faculty on the history of Russian-Japanese relations and the Russian system of education. 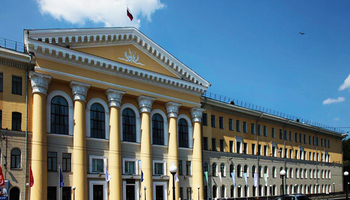 He has also learned about the details of the first Russian-Japanese dual master degree program and its first student Dmitry Yakushin who has been studying in Japan since April 2014. Within the first months of his studies Dmitry was granted the JASSO scholarship awarded by the Japan Student Services Organization, and later, the Scholarship of the President of the Russian Federation. 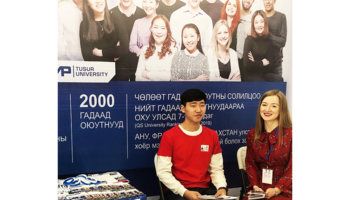 Representatives of TUSUR and the Consulate visited the dormitory where Dmitry lives, and the Robotics Laboratory where he spends most of his time working on his projects. 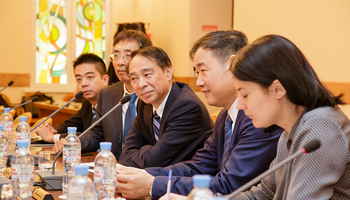 The delegation also learned about other joint projects of TUSUR and Ritsumeikan University: the annual University Dialogue Conference, IICST workshop, the new Summer School program and the joint educational course on Global Software Engineering which opened for the third time this October. The Consul General expressed the support of the joint projects of TUSUR and Ritsumeikan University by the Russian Consulate.